As Donald Trump maintains a high-velocity assault on North Korea’s leader, its political system, and its weapons tests, members of Congress are reportedly getting increasingly agitated about his possibly authorizing a preemptive attack (www.theguardian.com/us-news/2017/nov/08/democrats-congress-trump-north-korea-strike). As well they should; Trump is notorious for his bellicose rhetoric, fondness for flashing military power, and lack of interest in diplomacy. The unfortunate reality is that Trump has a long history of unrestrained presidential power in war making behind him. I last wrote on war powers in February 2015 (Post #67), where I observed that going to war is one of the most misunderstood constitutional issues. 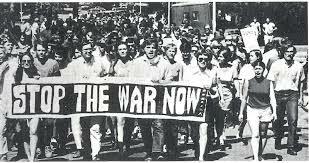 The constitution gives Congress the sole power to declare war. But for over a century, presidents have assumed the power as commander in chief to make and conduct war —to declare a national security threat, deploy forces, and use them without reference to Congress. To be sure, Congress finally responded to presidential abuse of war powers in Southeast Asia by passing the War Powers Resolution (WPR) in 1973. The resolution imposes a 60-day deadline for a presidential action abroad to obtain Congress’s approval; otherwise, the action must stop and any US forces must be withdrawn. But that law has never been invoked to start the 60-day clock. The WPR has neither prevented a president’s use of force abroad nor forced withdrawal of forces once committed. Presidents of both parties have not hesitated to use their war making power, deploying the military and other agents of intervention on a scale no other country can begin to match. Consider the array of US firepower at sea today in the Korean peninsula area—no less than three aircraft carrier strike groups operating together for the first time, and without a word from Congress. On the ground, the emphasis is on “advise and assist” missions, just as in Vietnam once upon a time. But what almost inevitably follows is combat. Since 9/11 presidents have authorized ground and air missions throughout the Middle East—in Afghanistan, Iraq, Syria, Yemen, and Pakistan—as well as in numerous African countries such as Niger and Mali. In all, according to the New York Times, Washington has deployed about “240,000 active-duty and reserve troops in at least 172 countries and territories,” as well as over 37,000 to unnamed other locations (www.nytimes.com/2017/10/22/opinion/americas-forever-wars.html). Rep. Adam Schiff (D-CA) has been leading an effort to bring Congress back into the war making act. A few years ago he introduced legislation to revisit the original Authorization for the Use of Military Force (AUMF; see box below) against Islamic State militants, a step he believed would force debate on what an authorization for war should actually entail. “There is no doubt that our current offensive [in the Middle East] amounts to war,” said Schiff, the ranking Democrat on the House Intelligence Committee. “Congress should take action both to authorize its prosecution and to set limits on that authorization so it may not be used by any future administration in a manner contrary to our intent.” Schiff’s proposed AUMF would have limited military action against ISIS to three years and prohibited the use of US ground troops. It also would have ended, in three years, the 2001 AUMF that President Barack Obama said already gave him the authority to go after ISIS without new war authorization. While these limitations seem appropriate at first glance, it is all too easy to imagine ways around them. Limitations are not bans, such as the Boland Amendment imposed to stop US aid to the Nicaraguan contras in the Reagan era. (Even that step didn’t stop Reagan.) Congress could override the three-year limit under Schiff’s AUMF if a new administration were to appeal on national security grounds that ISIS must be stopped. Prohibiting the use of US ground troops may not prevent a president from using other forces, such as “advisers,” CIA operatives, and special forces, as happened in Vietnam and other conflicts. Nor would a new AUMF prevent arms transfers to friendly forces, drone strikes, direction of air strikes by non-US air forces, military training, and support in various forms of third countries whose armies would accomplish what Congress prohibits. Consequently, more recent efforts in Congress to constrain President Trump, mainly by Schiff and other Democrats, are very unlikely to succeed either (www.washingtonpost.com/opinions/how-congress-can stop-trump-from-starting-world-war-iii/2017/10/29/658dc684-bb5e-11e7-be94-fabb0f1e9ffb_story.html). For one thing, Trump, like Obama, can hide behind the original post-9/11 AUMF. That authorization amounts to a blank check similar to the Southeast Asia resolution that President Johnson frequently cited to maintain and escalate US involvement in Vietnam. Rarely can Congress take back what it gave away, and this administration is not in a giving mood. (A new AUMF “is not legally required to address the continuing threat posed by al Qaeda, the Taliban, and ISIS,” Secretary of Defense James Mattis told the Senate Foreign Relations Committee on October 31.) A revised AUMF, moreover, might actually expand the administration’s war making by authorizing US military action against a wide assortment of “terrorist” organizations. The most likely outcome is either no change in the AUMF or a new AUMF that reaffirms presidential power. Either one is a recipe for endless war. The reason is simple: Trump can surely count for support on the great majority of Republicans, and probably some Democrats, all of whom (as in past Congresses) hesitate to question presidential prerogatives in national security. The overriding obstacle for Congress is that the Trump administration, like its predecessors, holds all the cards when it comes to defining and acting on national security grounds. North Korea is the principal concern here. Trump and his top advisers have consistently painted North Korea’s nuclear weapons and long-range missiles as imminent threats to the US and its allies. The administration has deployed undefined “strategic assets” to the Korean peninsula area. US first-use of nuclear weapons to completely destroy North Korea cannot be excluded. As Secretary of State Rex Tillerson said at the same October 31 hearing, “The fact is that no president, Republican or Democrat, has ever forsworn the first strike capability. That has served us for 70 years.” We can only presume he was referring only to the contingency of an imminent or actual North Korean attack on US territory. But can we be sure? We have no way of knowing what is in President Trump’s mind when it comes to the use of nuclear or any other category of weapons. Most analysts, and Trump’s own national security team, believe war with North Korea would result in enormous loss of life on and beyond the Korean peninsula. Does Trump believe that? Does he care? (Don’t judge from his script while addressing the South Korean national assembly.) Democrats aren’t waiting to find out; they have drafted legislation that would prevent Trump from unilaterally using a nuclear weapon or initiating war with North Korea. But though they claim some degree of Republican support—see the Guardian article cited above—they know full well that Republicans are no more going to vote in favor of these initiatives than they would vote in favor of a restrictive AUMF. They, and we, are literally stuck with having to hope Trump will heed the cautionary words of the professional military, such as in the recent Pentagon report to Congress that concludes that finding and destroying the DPRK’s nuclear-weapons inventory would require a US ground invasion. “Very substantial,” yes, but “not questioned”? Such an authoritarian view compels those of us who seek ways to prevent this administration from exercising its presumptive war powers need to look for support beyond Washington—to an aroused public and media, to US allies and friends in Asia, to Europe, and even to China. Previous Post #188: Are We in a “Post-American Era”? We’re “stuck with having to hope Trump will heed the cautionary words of the professional military”. Hmmm. Time to start working on that bomb shelter. Good piece Mel. Thanks, Mike. I’m working on it. It appears that the executive war powers genie is out of the bottle, and has been since the end of WWII. Yes, and presidents of both parties have liberally used executive actions to bypass Congress–in virtually all instances, with the concurrence of the courts on the rare occasions when challenged.